Israel Adesanya is currently gearing up for an interim middleweight title fight with Kelvin Gastelum, which goes down in the co-main event of UFC 236 in Atlanta, Georgia on Saturday night. That being said, the Nigerian-born Kiwi is not afraid to look to the future. Part of that future, he says, could be a showdown with UFC light heavyweight champion Jon Jones. Adesanya reminds that he’s already beaten one fighter widely considered the Greatest of all Time in Anderson Silva, and would happily take out another. “He was right and when I heard about it – I think maybe two days after he said it – I was like, ‘Oh, really?’” Adesanya told TMZ Sports, discussing Jones’ interest in a fight with him (transcript via MMA Fighting). “I had receipts. I had some screenshots from prior and then I posted them to show that I was already on that same plane. So yeah, great minds think alike. 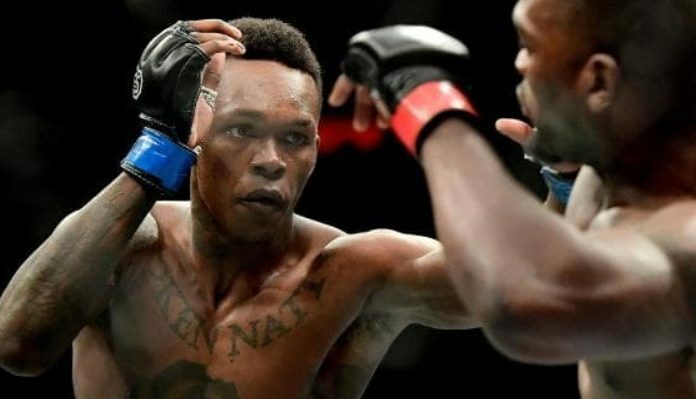 All that being said, Israel Adesanya assures his focus is currently glued to Kelvin Gastelum and the task of conquering the middleweight division. This article first appeared on BJPENN.COM on 4/12/2019.